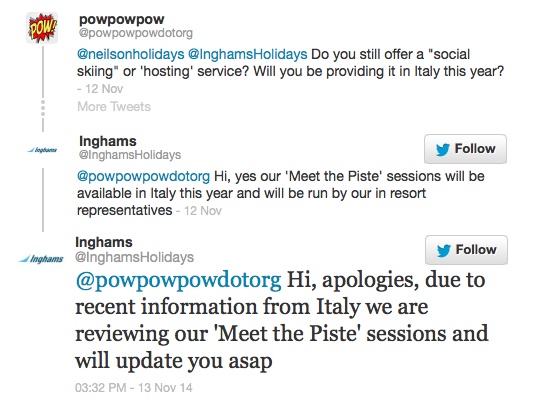 Say goodbye to Ski Hosting in Italy? As such, we would not be surprised to see an update from Neilson as they are likely to do the same. Speaking to Cortina Tourism, they were unaware of any new regulations, but suggested that the situation was similar to that in France where anyone leading a group in a professional capacity is required to be suitably qualified. They were unable to confirm the precise legal situation however. If it is, indeed the case that there are no new regulations and it’s simply more active policing of existing regulations, then could it be argued that Crystal, and perhaps Inghams are withdrawing a service which is technically illegal anyway? Some further digging suggests this is, in fact the case. 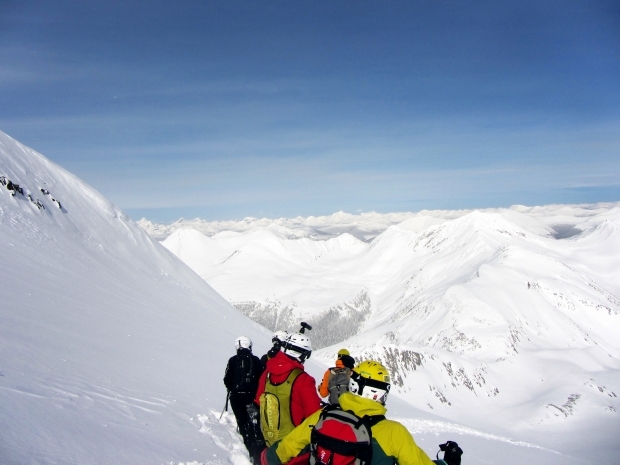 In italy, if you wish to lead groups, then you need to be a qualified mountain guide, an “Accompagnatori di Media Montagna” (first step to become mountain guide), Maestri (Ski instructor) or, in areas where it’s been introduced, an “Assistenti di Scuola Sci”, which is the first step to become a Maestro. The only exception to these regulations is the CAI, Club Alpina d’Italia which is a public body and ‘club’ in a sense. While it’s exempt from the specified qualifications, it does have it’s own set of qualifications in place which are considered equal to those of Mountain Guide or Maestro/instructor. As we understand it, those CAI “guides” are also volunteers. Needless to say, if you’re unqualified and as such, operating in a ‘criminal’ manner, then you won’t have or be able to get the relevant insurance, which certainly wouldn’t help in the event of any civil action. Crystal and Inghams were among a number of tour operators who cancelled their Ski Hosting services in France last season, with some of them partnering with ski schools to provide alternative services. We will update this post as we receive more information. It would seem the piece of legislation you have quoted relates to the impersonation of public officials and the wearing of uniforms and priest’s habits. Never skied in a cassock personally.